Bernard Vanlauwe joined IITA in Kenya in March 2012 to lead the Central Africa hub and the Natural Resource Management research area. In this capacity, he is also having an oversight role in the Consortium Research Programs (CRP) on Humidtropics; the Water, Land, and Ecosystems; and CCAFS. Prior to this appointment, he was the leader of the Integrated Soil Fertility Management (ISFM) program of the Tropical Soil Biology and Fertility research area of CIAT (TSBF). He joined CIAT-TSBF in 2001 and led the development, adaptation, and dissemination of best ISFM options in various agroecological zones in sub-Saharan Africa. In September 2010, he obtained a Visiting Professor position at the Swedish Agricultural University in Uppsala in the Soils and Environment Department. 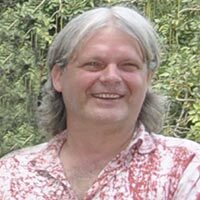 He had also worked at IITA in Nigeria (1991 – 2000) and the Catholic University of Leuven, Belgium (1989-1991), focusing on unraveling the mechanisms underlying nutrient and soil organic matter dynamics in tropical agroecosystems. In that context, he obtained his PhD in 1996 in Applied Biological Sciences. He has published over 100 papers in scientific journals and over 120 in other forms and has (co-) supervised over 30 MSc and 10 PhD students.